RCMP have seized more than eight kilograms of heroin in unrelated busts, one in Edmonton and the other in Chipman, northeast of the city. 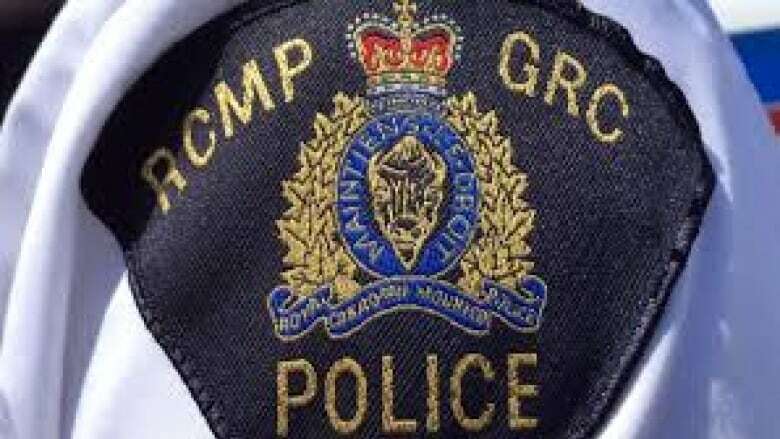 RCMP said Thursday that more than 8 kilograms of heroin has been seized in two unrelated investigations. Alberta RCMP have seized more than eight kilograms of heroin in unrelated busts, one in Edmonton and the other in Chipman, northeast of the city. A search of an Edmonton residence on Tuesday yielded 5.59 kg of heroin, plus documents and devices, RCMP said in a news release Thursday. A 24-year-old Edmonton man has been charged with heroin importation and heroin possession for the purpose of trafficking. The heroin, valued at $2 million, arrived in a mailed package, RCMP spokesperson Fraser Logan said. The search warrant was executed by the Alberta RCMP Federal Serious and Organized Crime Unit, with help from the Alberta Law Enforcement Response Team, Strathcona RCMP, Edmonton Police Service, Canadian Border Services Agency (CBSA) and Canada Post. Also Thursday, Alberta RCMP announced the seizure of 3 kg of heroin in a Sept. 2 search of a residence in Chipman, a village 77 kilometres northeast of Edmonton. Police also seized documents, electronic devices and 61 marijuana plants. A 57-year-old Chipman man has been charged with heroin importation, heroin possession for the purpose of trafficking, and cannabis production. The Sept. 2 search was conducted by the Alberta RCMP Federal Serious and Organized Crime Unit North with assistance from the Alberta RCMP Emergency Response Team, Fort Saskatchewan RCMP and CBSA. In another drug bust, Edmonton police said Thursday they have laid drug-related charges against a man and a woman after the Edmonton Drug and Gang Enforcement Unit conducted searches at two locations — a "stash pad" condo unit near Edwards Drive SW and 91st Street, and the couple's full-time residence. Investigators discovered 862 grams of cocaine with a street value of $127,000. They also seized 408 grams of crack cocaine, 1 kg of methamphetamine, 9 kg of buffing agent and more than $9,300 in cash. 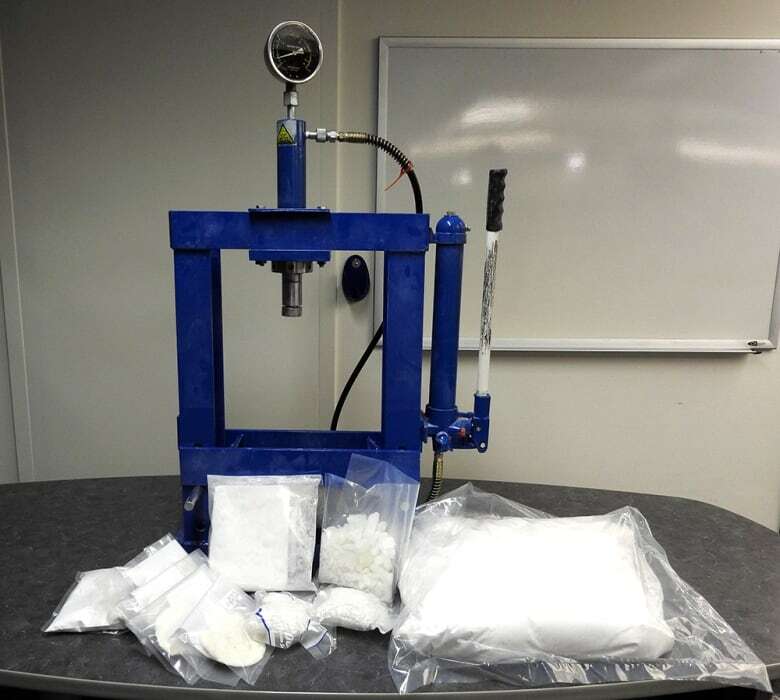 Drug manufacturing equipment was also seized from the "stash pad," police said. The condo, which was unfurnished, was allegedly being used to process cocaine into crack cocaine, police said. A Honda Ridgeline truck with two "sophisticated" hidden compartments was also seized, police said. The man and woman, both 21, face trafficking and other drug charges. The investigation that led to their arrests was launched in the spring.